Applying for a mortgage can be a daunting experience. It’s lengthy, time consuming, and over all can be quite confusing. 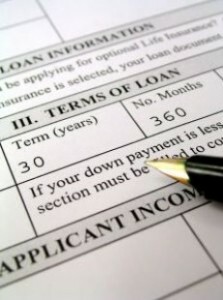 Below are some tips to help you before you start your mortgage process for your Carmel, IN home. Check your credit. Know your score in advance before applying. You never know what you might find on your report and it is best to know before hand than when you are in the midst of your Carmel, IN home buying experience. Check your credit well in advance of looking for a home so that you have time to improve your score or remove any faulty information. Get a pre-approval. The bank will look at your credit and combined with your income and assets they will determine how much you can borrow to buy a home. This number is key to having before you start your Carmel, IN home search. Without a budget, you won’t know where to shop. Once you find your perfect Carmel, IN home, many sellers will want a pre-approval with any offer, your mortgage lender can supply you with this prior to any home searching. Don’t make any major changes. Now is not the time to be switching jobs or opening up any new lines of credit. Both of these changes are red flags while trying to obtain a new home loan. It is also not a good idea to have a big deposit within several months before your finances are looked into. This could also set off a red flag and make you appear financially unstable. As a Carmel, IN real estate agents, we can connect you with mortgage professionals, should you need a recommendation. Please contact a Carmel, IN real estate agent when you decide to start your home search.